Each week we’ll take a look at the composition of the Steelers wins and losses (and ties too) by examining the team’s snap counts on offense and defense. Here’s a look at the makeup of last week’s game. Small changes occurred with the offense during Week 5 as Ryan Switzer, who previously played 21 snaps against the Ravens, was limited to only four against the Falcons. 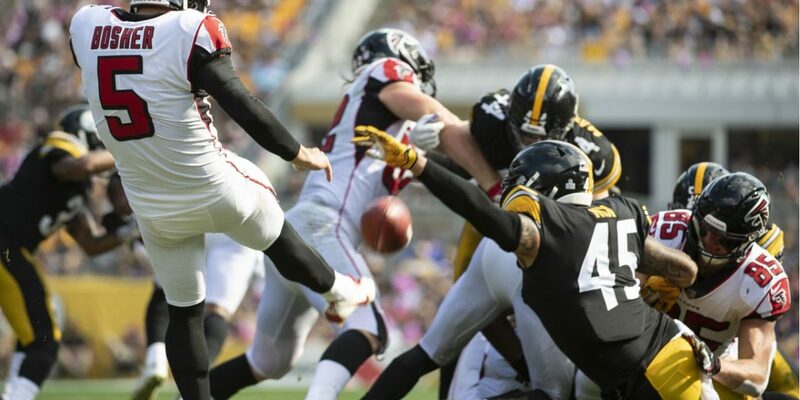 The run-heavy focus of the Steelers offense saw Rosie Nix return from his single snap last week to eight total, while Chuks Okorafor also bumped up from one snap last week to seven this week. There was more focus placed on using two tight end sets as well, with Vance McDonald seeing about the same split as Week 4 but Jesse James jumping 15% in playing time. Xavier Grimble also saw more reps as well. Those totals cut into rookie WR James Washington’s playing time; he saw his lowest plays since Week 1 at Cleveland. 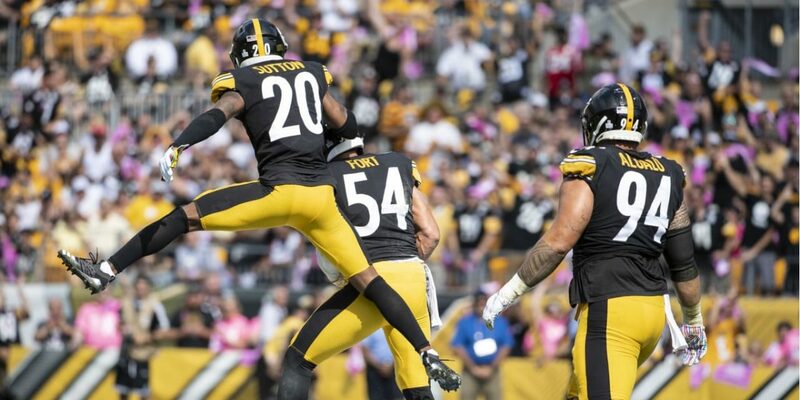 Stevan Ridley received several carries and a dozen snaps giving James Conner a breather, and we even say Jaylen Samuels get on the field for the first time this season. 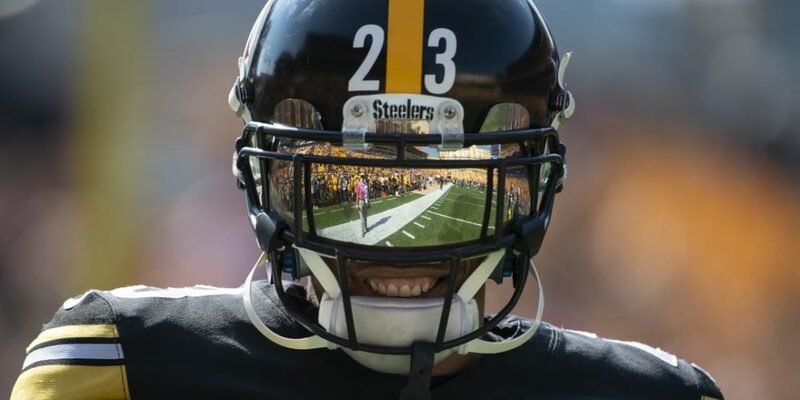 The bigger name making his NFL debut this Sunday was Joshua Dobbs who came out to kneel on the ball to run out the clock at the end of the game. The rest remained largely the same outside of those notable exceptions. Everyone was awaiting the debut of undrafted rookie linebacker Matthew Thomas, but he only entered the game for four snaps at the very end. With Vince Williams sidelined, Tyler Matakevich and L.J. Fort carried the torch at Williams’ inside linebacker position. “Dirty Red” edged Fort in playing time with each being used in different packages. The linebackers overall were rotated in and out, as was the defensive line. Tyson Alualu played his highest percentage of snaps this season, Jon Bostic hit his second-lowest, and Anthony Chickillo nearly played half of the game, which is a 12% increase in snaps over his previous season high. There was a fairly healthy rotation all around with the exception of the two starting safeties: Sean Davis and Terrell Edmunds played the entire game once again. It would be Edmunds third-straight full game, possibly cementing him as the starter with Morgan Burnett missing his third-straight game due to injury. 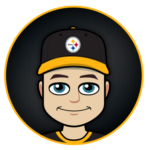 This week Artie Burns edged Coty Sensabaugh for playing time, but it would be Sensabaugh who gave up the least in the passing game according to Pro Football Focus. It will be interesting to see the timeshare going forward as Burns tries to rebound as a starter with Sensabaugh playing some of his best football, nipping at his heels.